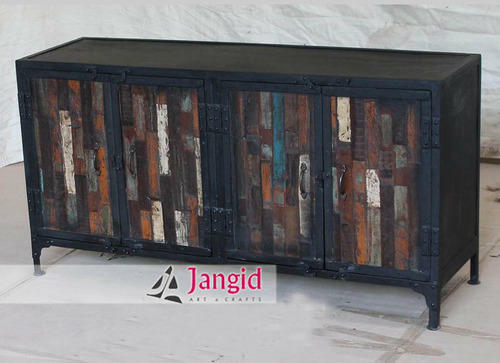 This is Industrial Iron and Reclaimed Wooden Sideboard. We are maufacturer and exporter of All type of Retro Style Industrial Furniture like Indian Retro Industrial Stool, Retro Industrial Chair, Retro Industrial Dining Table, Retro Industrial Wine Bar, Handmade Retro Industrial Coffee table, Retro Industrial Bar Chair, Retro Industrial Bar Stool, Retro Industrial Dining Chair, Retro Industrial Side Rack, Retro Industrial Side table, Retro Industrial Bookrack, Retro Industrial Tool Box, Retro Industrial Drafting Table and So on. Please contact us for more products pictures and price offer.